7. 3/6 Five sigma and the Higgs Boson discovery Is it “bad science”? 8. 3/20 Fraudbusting and Scapegoating: Replicability and big data: are most scientific results false? 9. 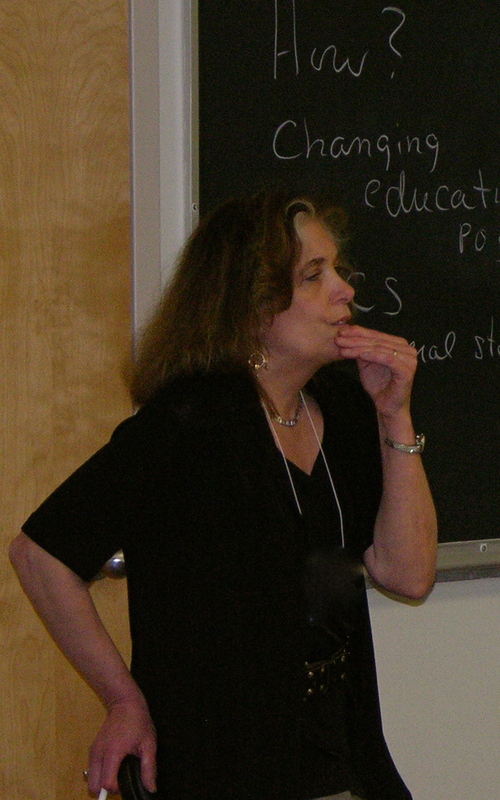 3/27 How can we test the assumptions of statistical models? 14. 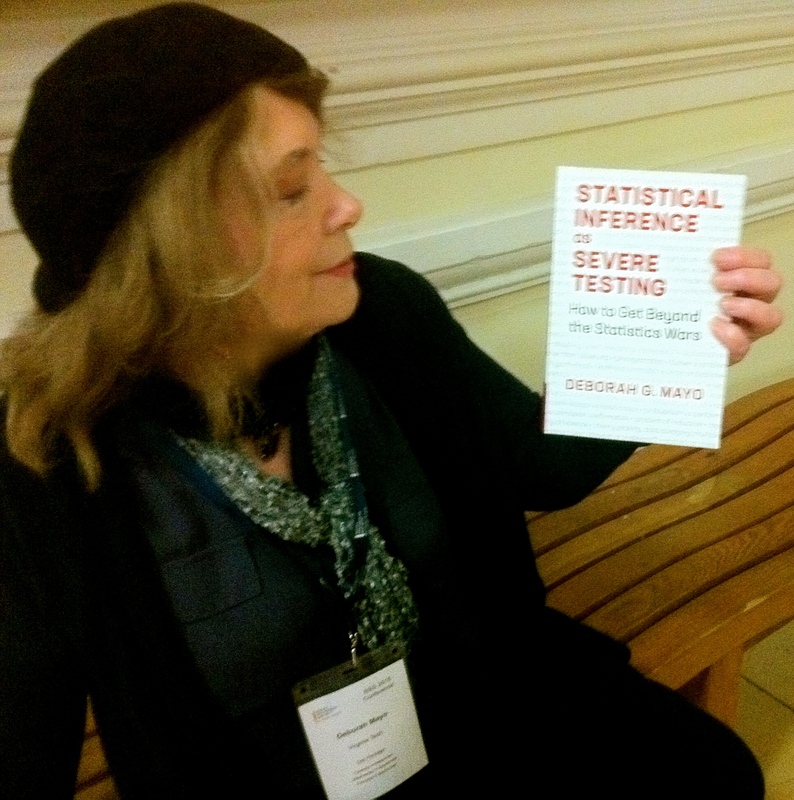 5/1 Overview: Answering the critics: Should statistical philosophy be divorced from methodology? Interested in attending? E.R.R.O.R.S. * can fund travel (presumably driving) and provide accommodation for Thurs. night in a conference lodge in Blacksburg for a few people through (or part of) the semester. If interested, write ASAP for details (with a brief description of your interest and background) to error@vt.edu. 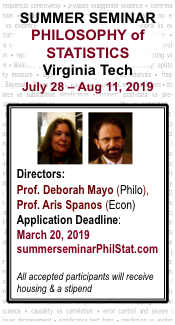 (Several people asked about long-distance hook-ups: We will try to provide some sessions by Skype, and will put each of the seminar items here (also check the Phil6334 page on this blog). I am interested in your thoughts on this aspect. I have been thinking the “nil” null hypothesis is just the principle of indifference sneaking back in. Grapling: I don’t see how, it isn’t a prior. 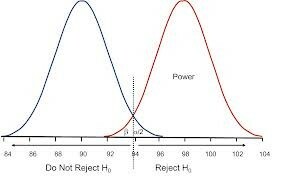 Nil Null Hypothesis: All groups are equal if nothing else is known. Is there any chance of having lecture notes posted online? Traveling and Skype are both out for me, but I’d be interested in following along casually through the notes (and I’m sure I’m not the only one). Justin: Yes, we will make the notes available and as much of the discussion as possible.